Speaking at the third joint CIMSPA and Quest NBS conference, Phil Smith opened his keynote presentation by saying how proud he was to be a CIMSPA member himself, before congratulating Tara Dillon and the CIMSPA team on the outstanding progress made over the past year. Phil Smith’s presentation came at the end of a highly successful conference for the sector’s chartered institute. “Phil Smith’s message of support and encouragement is a welcome affirmation of the progress already made. 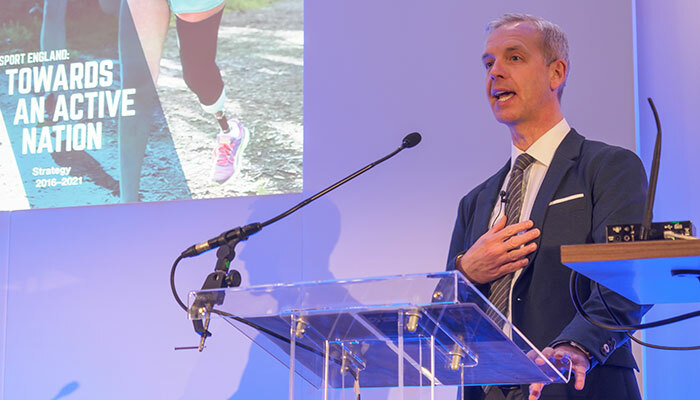 We are passionate about the people who make our sector great, and the strong support of Sport England and government reinforces how important our work is. “I’d like to thank every one of today’s presenters who have so generously given their time and professional excellence for our event today – they have provided a superb programme of engaging and informative sessions for an enthusiastic audience. A full conference report will be published shortly on this website.